Detergents are a class of chemical substances which are characterized by their amphiphilic (amphipathic) structure. Each molecule contains at least one hydrophilic (polar) and one hydrophobic (lipophilic, non-polar) functional group. Detergents are characterized by their ability to form micelles in aqueous solutions. The molecules orientate spherically with the hydrophilic groups directed to the outer side forming hydrogen bonds with the water molecules, while the non-polar groups remain inside the micelle due to hydrophobic interactions. 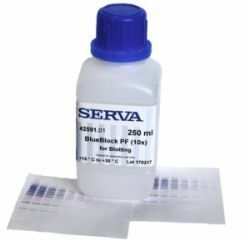 This property is unique for detergents and the prerequisite for dissolving hydrophobic substances in water. Detergents are also surface active compounds, which reduce the surface tension of water (therefore they are also called surfactants): due to their amphipathic structure, they are adsorbed at interfaces, e.g. in aqueous solutions, the molecules are adsorbed at the water-air interface with the hydrophobic part in the air. Most detergents are synthetic organic compounds (e.g. Tween 80, Brij 35 or SDS). But there are also naturally occurring surfactants or derivatives of natural products (e.g. digitonin, saponin, Na-cholate).